Through his career as the long time detective with the Spring Lake Police Department, Bill Coyle had been asked on many occasions if he would be interested in managing homes for residents while they were away for extended periods. Bill agreed and began to manage a handful of these homes. Due to the demands of his career, Bill was unable to expand his services. Through the years Bill witnessed homes that had sustained extensive damage due to frozen or leaking water pipes, storm damage and break-ins. Many of these conditions were not discovered for weeks, or in some instances months, due to the owner being away and not having someone look after their properties. Bill’s clients often spoke of how relieved they were that they had nothing to worry about in their absence knowing that their home was being cared for by a dedicated professional. This peace of mind allowed them to truly enjoy their time away. 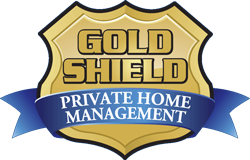 Realizing that there was a significant need and market for a professionally operated home management firm at the Jersey Shore, Gold Shield Private Home Management LLC was launched in the spring of 2011. Interest in the new company was great and Bill Coyle decided to retire from the police department so he could devote his talents and energies to his company. During his successful career with the Spring Lake Police Department Bill handled, investigated or oversaw just about every situation that presented itself. Bill now brings that expertise to the field of private home management. Bill is passionate about his work and is excited to build a business that leverages his strengths acquired through a life time of public service. Those attributes are attention to detail, keen observational skills, organization, sense of duty, interpersonal and communication skills and an overwhelming desire to do the right thing. Thank you for visiting our site.